In the great Oscar race of 2010, The King's Speech managed to make a big splash. The feel good story of a king with a stuttering problem who struggles to overcome it managed to sweep up the Best Picture award, taking it away from rival The Social Network. Ironically enough, Alexandre Desplat's orchestral score lost to Trent Reznor and Atticus Ross's eclectic synth score. Alexandre Desplat is well known for his mixture of piano and orchestra work and The King's Speech is no exception. His work here really reflects King George VI's struggle to speak. The piano and orchestra both intermix to present numerous softer themes that give the feeling of desperation. 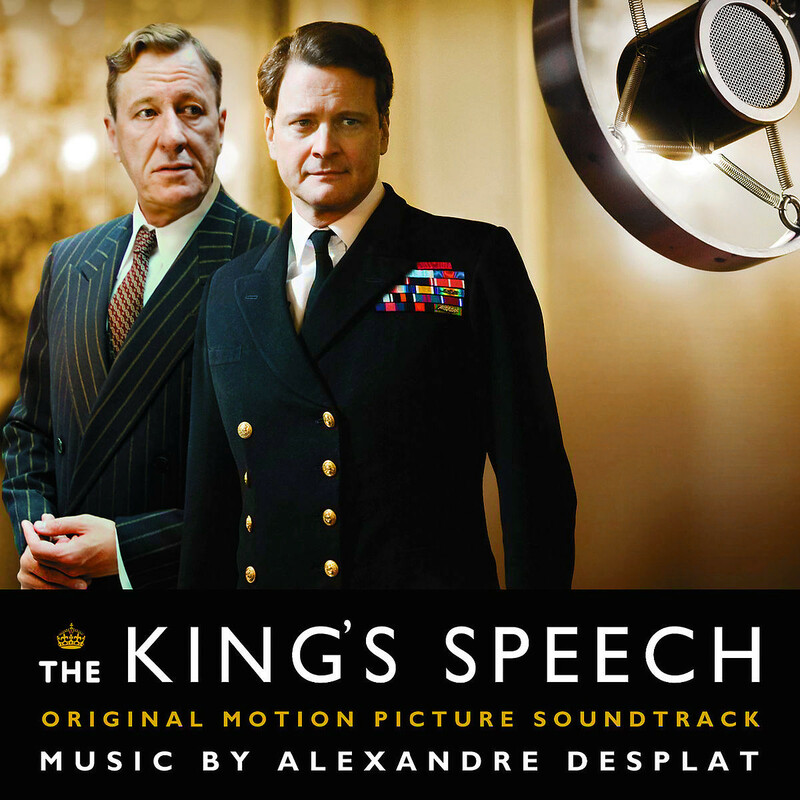 For King George himself, Desplat presents a soft and lighthearted melody heard in 'The King's Speech'. As the score progresses violins are used. Desplat includes a few smaller themes as well. The album ends off with two Beethoven pieces that conclude it nicely. Alexandre Desplat is a great composer for themes, and The King's Speech is a very thematic score. The piano melodies flow in and out of the orchestra perfectly. It's a feel good score for a feel good film. The inclusion of Beethoven also works well. Alexandre Desplat provides a lighthearted score that is fun and emotional at the same time.